His visage has graced the cover of Time. He and other Ebola fighters were named the magazine's "Person of the Year." His story made the front page of USA Today and he has appeared in countless media outlets across the globe. He made history when he became the first person to be treated for Ebola Virus Disease in the United States. But Dr. Kent Brantly (HCS '99) would rather focus on the thousands in West Africa whose nameless faces portray the horrors of the Ebola virus and the healthcare workers who selflessly treat them. He gives voice to their suffering with a deep sense of knowing, because he understands the disease intimately. He has both cared for its victims and faced near death at its hand. Here is the remarkable story of this Heritage alumnus whom God continues to use in unforeseen ways. Brantly, his wife, Amber and their two small children moved to Monrovia, Liberia in October of 2013, working as medical missionaries on a two-year assignment with Samaritan's Purse. Ebola wasn't on their radar. They didn't even hear about the outbreak in Guinea until the end of March. The epidemic spread to Liberia and Brantly and the medical team at the ELWA (Eternal Love Winning Africa) Hospital was ready when the first Ebola patient arrived in June. Brantly treated patients in the general clinic and in the Ebola treatment center, where he and the team followed strict international codes to avoid contamination. As the number of Ebola patients increased steadily over the next two months, Brantly took on the role of medical director for the Samaritan's Purse Ebola Consolidated Case Management Center. Each patient received medical care and compassion, says Brantly. "Through our protective gear, we spoke to each patient, calling them by name and touching them. We wanted them to know they were valuable, that they were loved, and that we were there to serve them," he told Time. "I was able to sit with patients and hold their hand, sing to them, pray with them," he told the Indy Star, "and give them some respect and dignity amid the tragedy they were experiencing. I was able to show them compassion, and that was why we were there." On July 20, Brantly took Amber and their children to the airport to return to the States for a family wedding in Texas. He poured himself into his work. On July 23, he woke up feeling under the weather. His condition declined rapidly. He was diagnosed with Ebola Virus Disease. "Even with the bad news, I felt calm, he told Time. "I never shed a tear when I called my wife and said, 'Amber, my test is positive. I have Ebola.' Though the rest of my family wept, I felt strangely at peace. God blessed me with that peace that surpasses understanding." In the nine days that followed his grim diagnosis, he grew sicker and weaker from the disease that claims 90 percent of its victims. He and his family prepared for the worst. "It was the words of scripture set to music that brought me the greatest comfort in the darkest times of my illness," Brantly remembers. "Those songs reminded me that nothing can separate me from the love of God that is in Christ Jesus. They reminded me that like Job, even if this is my last breath I ought to cry out 'Hallelujah.' They reminded me that God has done great things in my life and I ought to give Him thanks. I identified with Shadrach, Meshach and Abednego, and with Job, and I just wanted to be faithful so that God might be glorified in my life or in my death." He had no idea then that people around the world were praying for him, including the Heritage Christian School family of which he had once been a part. Through the care of the missionary team, a plasma donation from a 14-year old survivor whom Brantly had treated and a dose of the experimental drug, ZMapp, his condition improved. He was airlifted to Emory University Hospital, where he made a complete and miraculous recovery. The world watched intently as Brantly left the hospital with a clean bill of health and reunited with his family. Almost immediately, he stepped into a global media spotlight. Interview requests poured in. He seized the opportunities to share Christ and build awareness about the horrible disease from which God had healed him. In an interview with National Public Radio, he shared, "When we can get to that point where we feel the same sense of empathy and compassion for people who are suffering, even though we don't know them; I think that's what Jesus is talking about when He says 'Love your neighbor as yourself.'" He told Time, "I chose a career in medicine because I wanted a tangible skill with which to serve people, and so my role as a physician is my attempt to do that." Brantly has met privately with the President of the United States and testified on Capitol Hill about the Ebola outbreak in West Africa. He has urged the United States and the international community to intervene with supplies and personnel to treat those still suffering. When other fellow Americans contracted Ebola, Brantly voluntarily donated his plasma, hoping to aid their recovery. To understand the back story of Brantly's narrative, one needn't look far to discover that his sense of compassion and his interest in medicine were nurtured from an early age. His Christian family, his close-knit community at Southeastern Church of Christ in Indy and the Heritage family played big roles. "I had many spiritual mentors in my family, my church community and at Heritage," he says. "I grew up in a Christian home with parents who taught me to love the Lord. My parents were faithful Christians who set an example for me of always trying to live as a disciple of Jesus wherever you are. I grew up with an expectation that I would serve God with my life. I gave my life to Christ and was baptized by my grandfather when I was nine years old. I continued to learn to walk with the Lord as I grew up - and hopefully am continuing to grow even today." Brantly's family was focused on missions in many forms. "I had two sets of uncles and aunts who were missionaries in Africa during my childhood - Bob and Joan Dixon worked in Nigeria and Frank and Lou Ann Black were medical missionaries in Tanzania," he says. "Many other family members served as mentors as I saw them live out the life of a disciple in many different life circumstances - teachers, nurses, stay-at-home moms, school administrators, accountants, etc. " 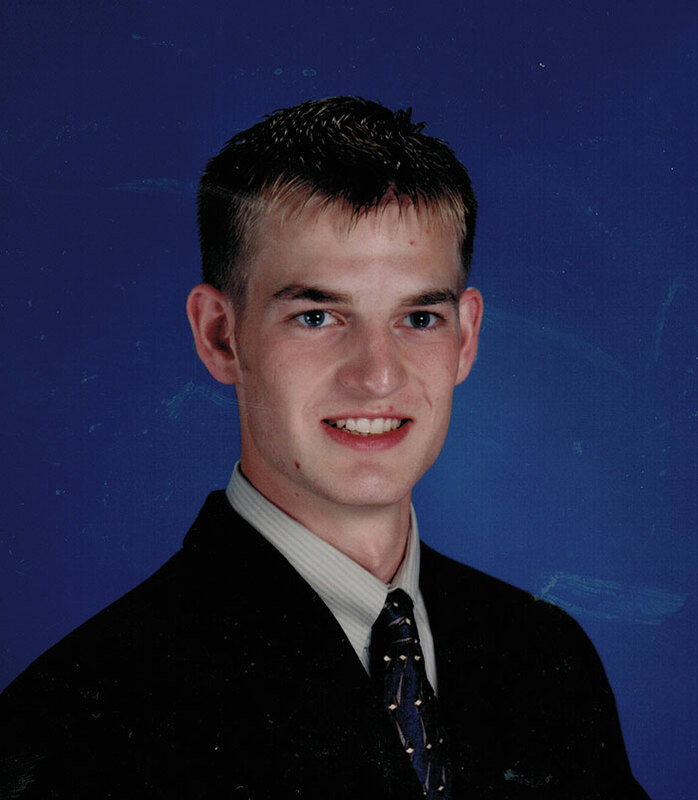 His church family nurtured Brantly's faith from the time he was very young. Prior to his departure to Liberia, he told them, "Every one of you who knew me when I was a little boy or who saw me grow as a teenager or who offered me friendship as a college student or graduate student, every one of you has touched my life and shaped who I am today." As a high school student at Heritage Christian School, Brantly's faith flourished. "Coming to Heritage as a Junior in High School was a time of great growth for me," he says. "I was challenged by teachers like Mr. Terry, Mr. Smith, Mrs. Birkel, Mrs. Board and others who challenged me to excel in what I did - for the glory of God." Erik Smith, former Heritage high school teacher, remembers Brantly well, having taught him in the classroom, coached him on the soccer field and spent a week with him on a Canadian wilderness trip. "In every arena, he struck me as a both a very hard worker and a person of integrity. Kent was highly respected by others for his character, maturity, and positive attitude," Smith says. "Even back in high school, his humility and servant's heart were evident. He genuinely cared for others and put their needs before his own, so it was not surprising to me that he was willing to sacrifice so much to travel to Africa and work with Ebola patients. That's just the kind of person he is!" Heritage teacher Dan Ambrose adds, "Kent was one of the most mature high school students I have ever worked with. He was friendly to all other students around him, and while able to relax and be fun-loving, he was also a serious deep thinker. He seemed to have a deep love and respect for the Bible and, even more, his Lord." Teacher Dave Watt recalls, "He came into class smiling every day, was friendly with everyone in the class. I remember him talking about his desire to be a doctor during his senior year of high school. He was not shy about talking about his faith in Christ back then as well." Brantly was honored with the distinguished Spiritual Leader Award during his senior year at Heritage. "As a high student, Kent consistently put Christ and his calling in a great light," says Al Leinbach, then High School Principal and Soccer Coach. "Kent is a great example of faith and practice to glorify God and to encourage and help mankind by being the heart and hands of Christ Jesus." After graduation, Brantly headed for Abilene Christian University. "I earned a degree in Biblical Text," he says. "During that process, through short-term mission trips and summer internship programs, I began to sense God's calling on my life to be a missionary. For me, medicine was a tool I would be able to use in service to others as I followed God's call on my life." On a church-sponsored medical mission trip to Central America, he met his future wife, Amber, then a pre-nursing student. The couple married in 2008 and began to pursue their mutual calling to full-time medical missions. It's a calling that Brantly says he'll never regret following. Even while facing the disease, he told Kent Smith, an elder at the Southside Church of Christ in Fort Worth, Texas, that "God's going to deliver me from this but even if he doesn't, I have lived my life for him and I have no regrets." His experience has deepened and strengthened his walk with Christ. "I've seen the power of intercessory prayer, and the importance of praying for others in those times when they probably can't pray for themselves. I hope this will help me to pray better for others," he says. "Through my experience with Ebola, both as a physician and as a patient, I was faced with the mortality of man over and over; and I learned in a new way what it means that God will provide what we need to be faithful to Him in all circumstances," Brantly explains. "When you are facing death - your own death - the idea that NOTHING can separate us from the love of God - neither death nor life nor nothing in heaven or earth - that idea takes on new meaning, and you recognize that nothing else matters when you are safe in the love of God." In the end, Brantly's incredible account is not solely about his experience with Ebola virus disease nor even his miraculous treatment and recovery from it. His story ultimately is one of the God he knows and serves. "This is not about me," he told an audience at Abilene Christian University. "This is about our great, loving, compassionate God who has called us to love our neighbors. This is about the more than 3,800 people who have died from Ebola disease in West Africa." It's for the growing number of Ebola victims that Brantly continues to advocate. "I think every day about going back, but I feel like I've been given a platform through my experiences to be a voice here in this country for people in West Africa," he shared in an interview with National Public Radio. "If I were in West Africa right now, I'd be treating 25 or 50 patients a day. Hopefully through my activities here, I can have an impact that will benefit thousands of people." So, will the Brantlys ever return to the mission field? "I'll probably get tired of talking about my experience some day, but I went to Liberia because I long felt it was my vocation to spend my career as medical missionary," he told Time. "Deep in the core of my heart, I still think that's my calling. I don't want to go on with life and forget this."